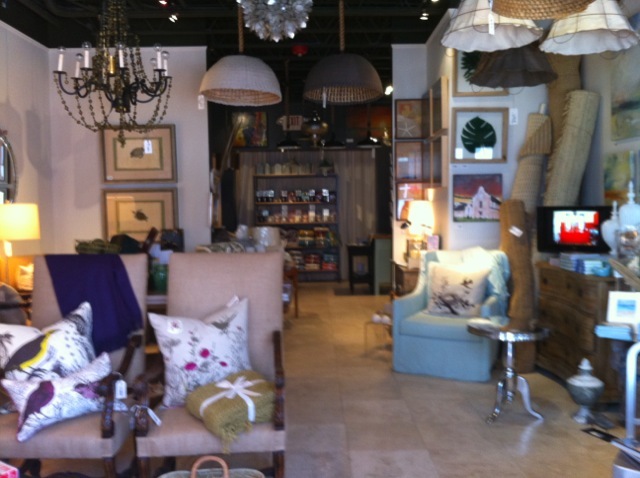 The merchants of Rosemary Beach are hosting a Sidewalk Sale this coming weekend and we’re excited to be participating. The weather is SO beautiful right now, if you are going to be in our neighborhood we hope you’ll go for a stroll and join us to check out all the great deals. The official sale is being held Friday and Saturday but we’re hosting a special “sneak peek” for our friends starting today (Thursday). Recently I received a phone call from our friend Adam. He was producing the Mary Chapin Carpenter/Vince Gill, Back to the Beach concert in Sandestin (about 20minutes from our Rosemary Beach studio). He asked if we would decorate/design/ furnish Vince Gill’s on site temporary trailer/dressing room located in what most days is a driving range. I said yes immediately. We love a fun different kind of project like this. We love all projects big/small/slow/fast/complicated/simple/colorful/monocramatic, we just love to design. So we started looking for the pieces to fill the space for this past Saturday September 25th. 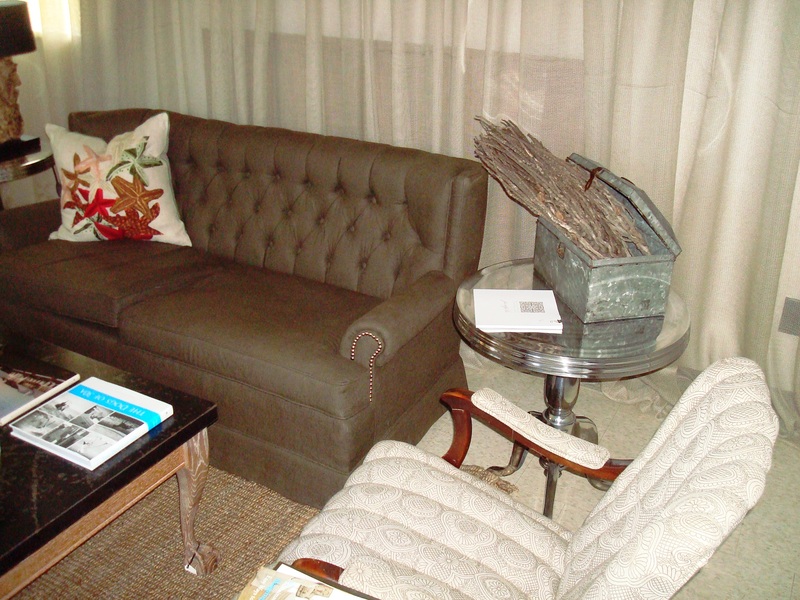 We had a vintage sofa reupholstered in a dark olive green/brown linen fabric along with 2 different vintage chairs in the same linen patterned fabric. We incorporated pieces we found to complete the design. When we entered the space there was a table hanging on the wall. Anna Kay and I said” That is unfortunate!”, what can we do with that?! So Anna Kay thought of this fabric we had previously purchased, to help soften the wall as well as created a focal point in the room. 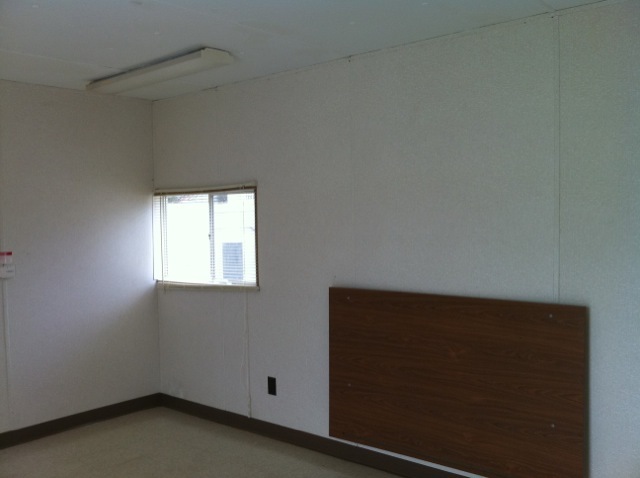 Check out this picture of the room before. 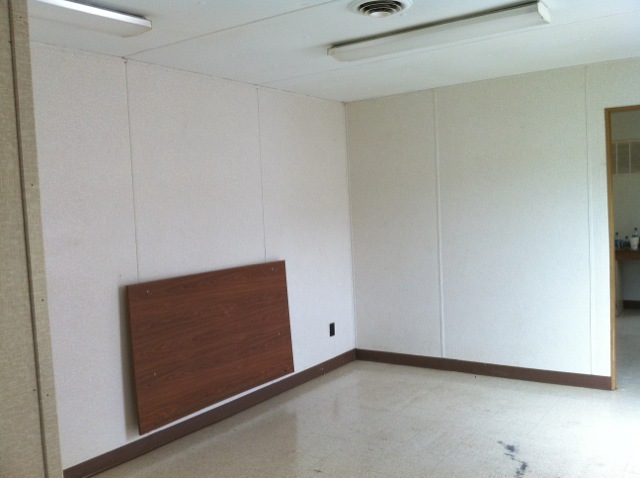 The room was empty with just a fold out table attached to the back wall. We added all the pieces we had found and voile’ a beautiful dressing room for Vince Gill and his crew! We really enjoyed his music at the concert and I hope he enjoyed our work as well! Thanks Vince for being part of Back to the Beach! 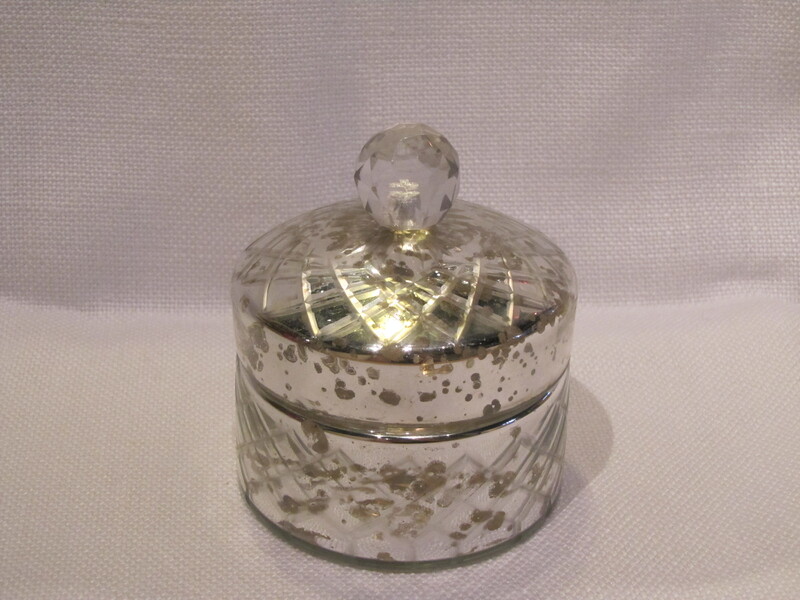 We wanted to follow up the mercury votives with these new mercury boxes that just arrived. So cute! 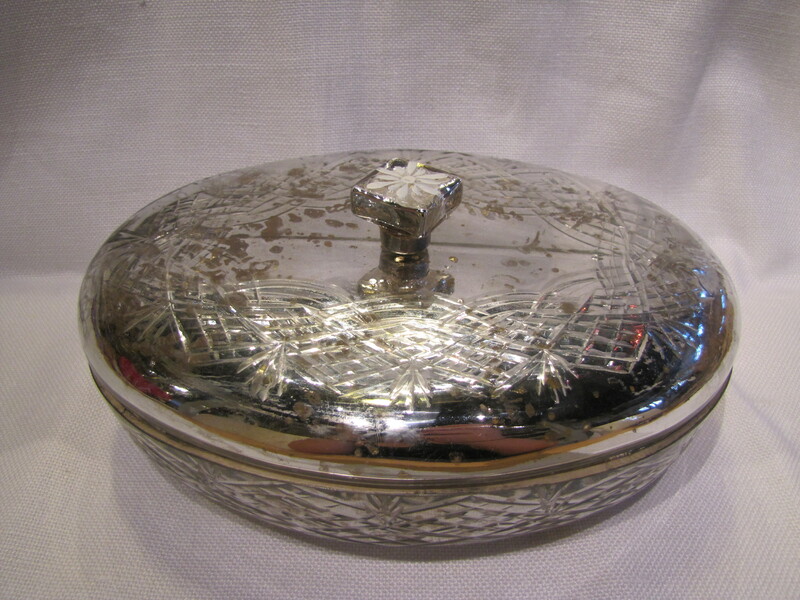 The perfect box for jewelry or just a little keepsake. 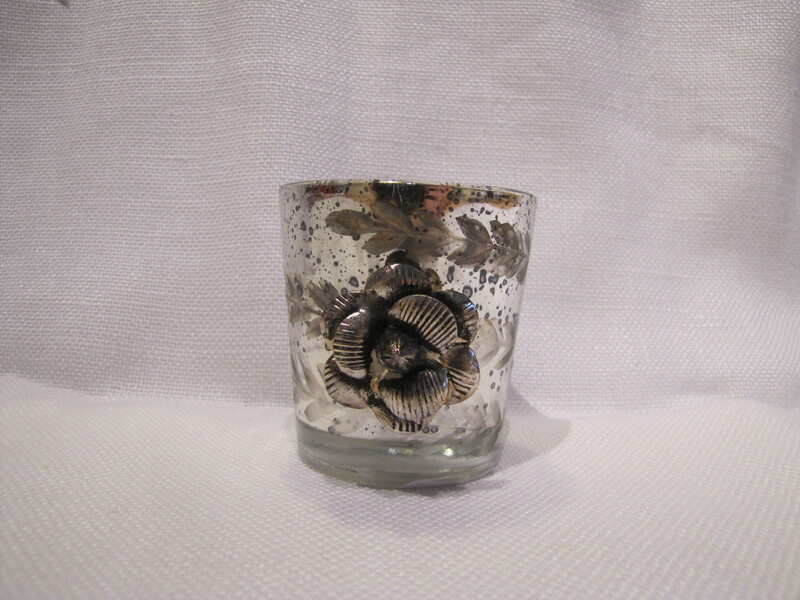 We love the cut glass and little knob on top. 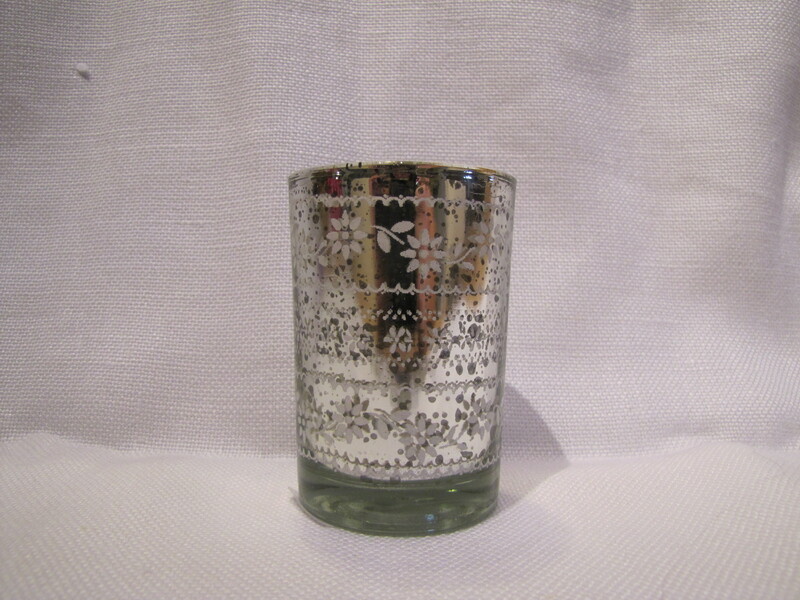 Stop by and see us at our shop in Rosemary Beach or check them out online (here)! Serenity is a word that always comes to mind when we are designing bathrooms for our clients. 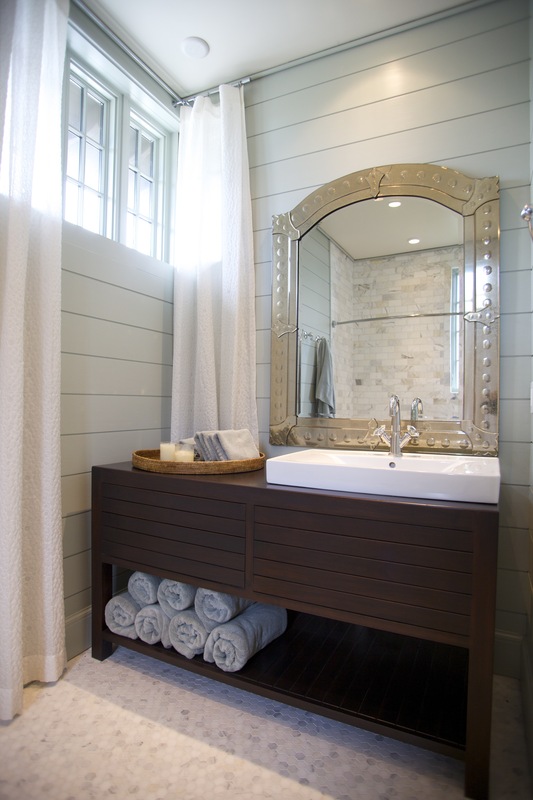 We designed this guest bath for a family home in Blue Mountain Beach. It is project you have seen before a few times; the living and kitchen, the kids rooms. 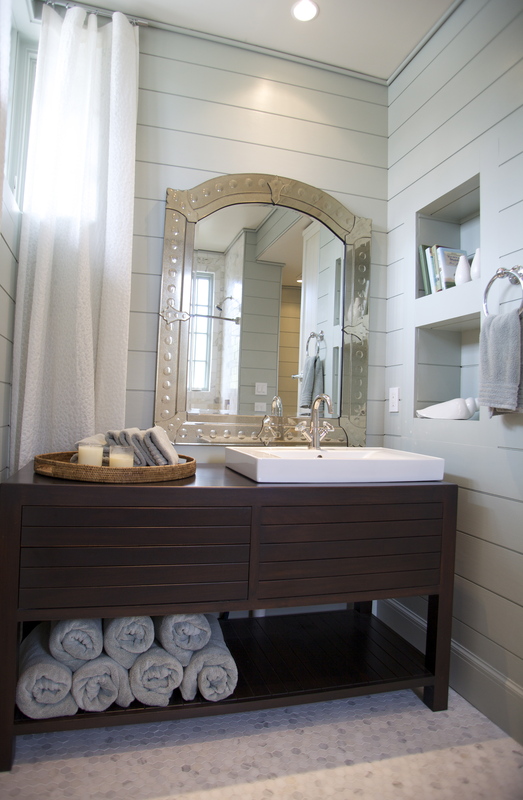 The bathroom is a cool blue/grey with calcutta tile and a walnut sink base for warmth. Enjoy! 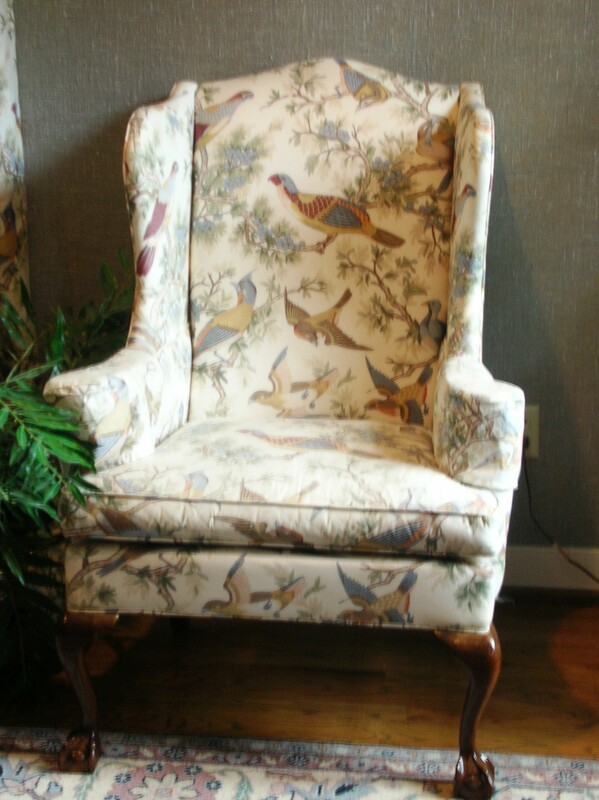 Many of our clients ask us to incorporate special pieces in the designs for their homes. Sometimes the piece is incorporated in it’s current state and sometimes it needs a little change to work with the new design. We designed a house in Auburn, Alabama for a couple that was moving to town. They had met in college at Auburn and were returning to build a home. 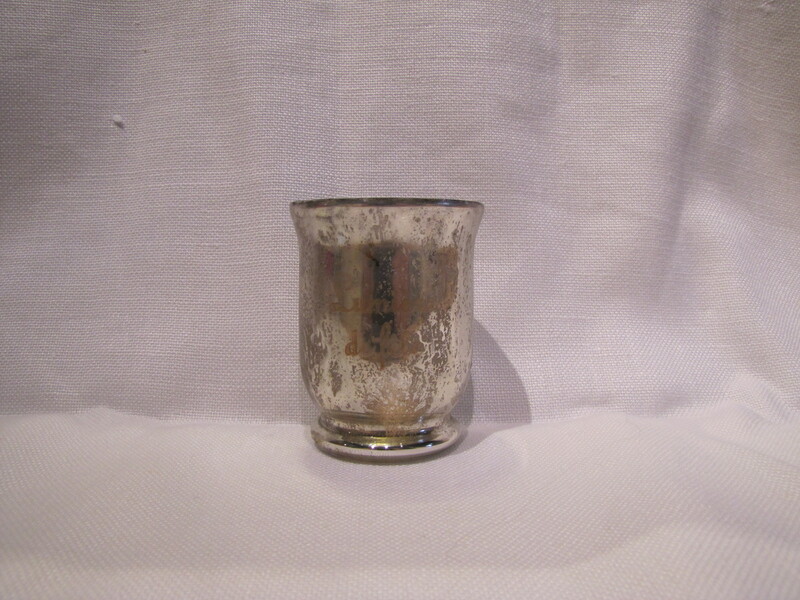 Many pieces from their previous home were used in the design. This chair is “her” office. It was our first his and hers offices in a home. The office reflects her style and now so does the chair. 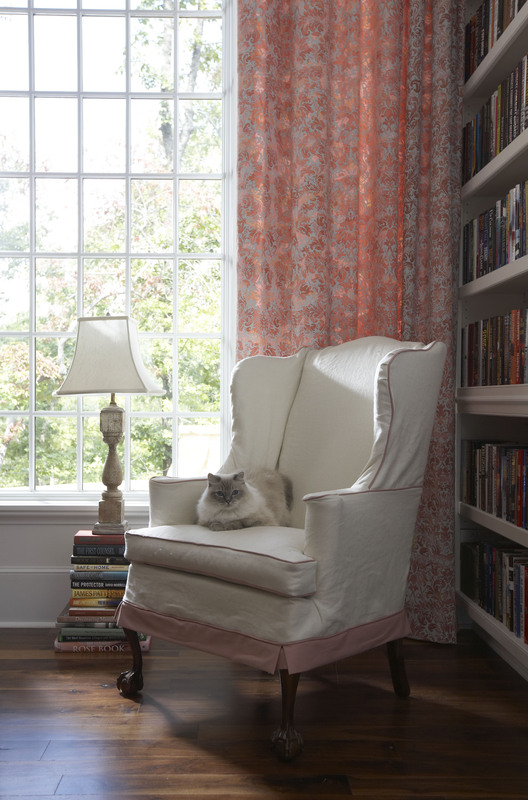 We reupholstered the chair in muslin then had a slipcover made in white with the perfect shade of pink to work with the beautiful hand printed drapes. I hope you enjoy the transformation! The chair after... even the cat loves the new chair! At Tracery, we love to design homes (and we’ve designed a lot of them over the past 7 years) but we have to tell you, we really like designing restaurants and bars too! Naturally then we were very excited when our friend George, who oversees leasing and development for several incredible properties throughout the Southeast, contacted us with a potential project. 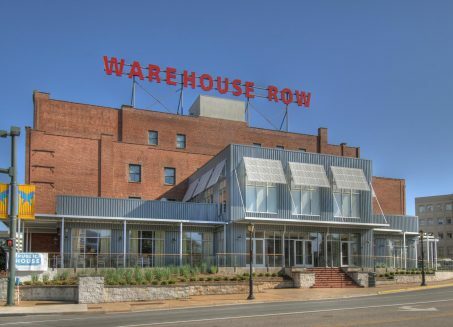 Paige and I drove to Chattanooga shortly thereafter to tour a development called Warehouse Row which is located in a city block of redeveloped turn of the century warehouse space. Some of you may remember the former outlet mall that occupied the site during the 1980’s and early 90’s (I am pretty sure my family stopped once on our way from Illinois to see family in Georgia when I was growing up!). Anyway, at the redeveloped Warehouse Row there’s a great restaurant already in place called Public House. We met with the owner, Nathan Lindley during our visit and before we knew it we were hired–and charged with designing a new companion to Public House, a bar called The Social. While the design for Public House, which was completed a couple of years ago, is very white on white, the idea for The Social was to capture the mood already established by the space’s antique brick walls, heart pine columns and ceiling. We created a design that honored these elements and accented them with clean-lined architecture, unlacquered brass and antiqued mirror. I visited the site earlier this week to check in on the construction progress and I was so excited to see how the space is looking! The view from the front of The Social looking into the space. The Social has two fronts -- one opening onto Market Street and the other into the Atrium space of Warehouse Row. A new staircase connects the space to the street level. A three sided bar addresses both entrances. 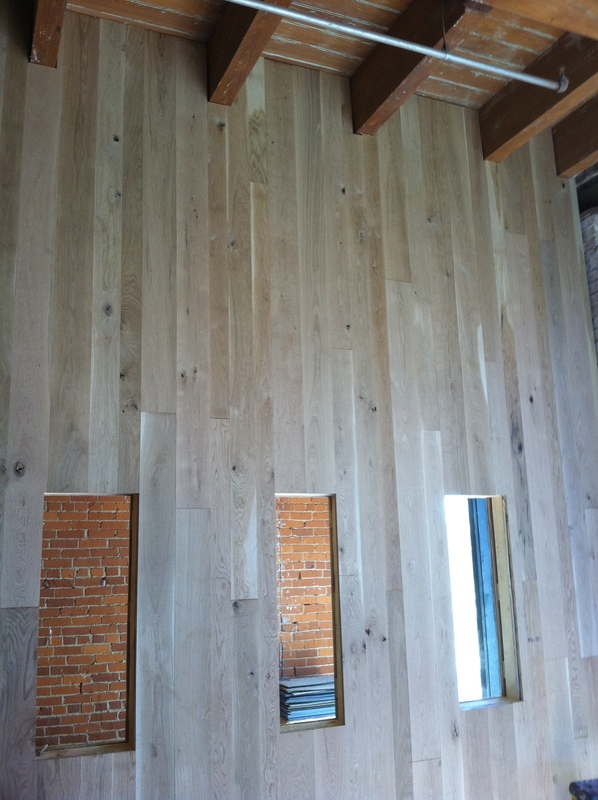 We created a new private dining space overlooking Market Street in a new room wrapped in planks of white oak. An antique farm table will be joined by clear acrylic chairs in the future private dining space. 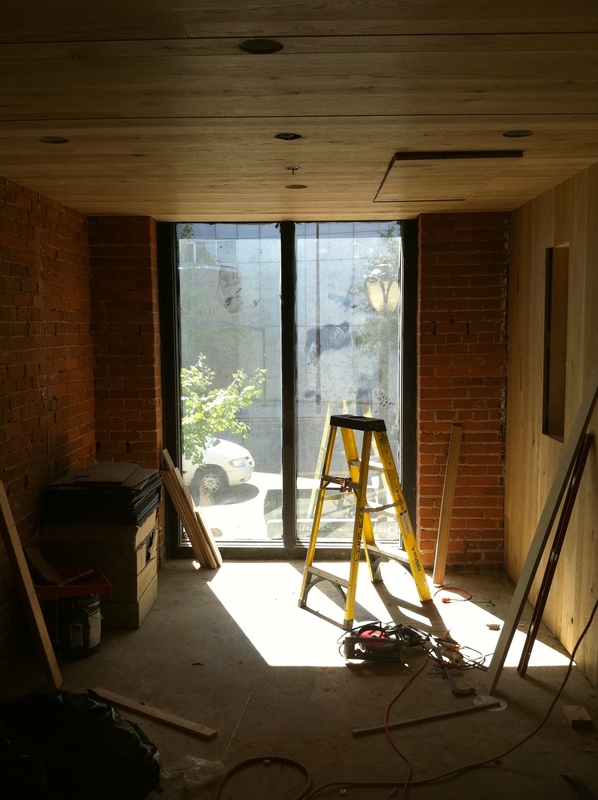 Three punched openings let light into the private dining room and provide framed views into the rest of the space. 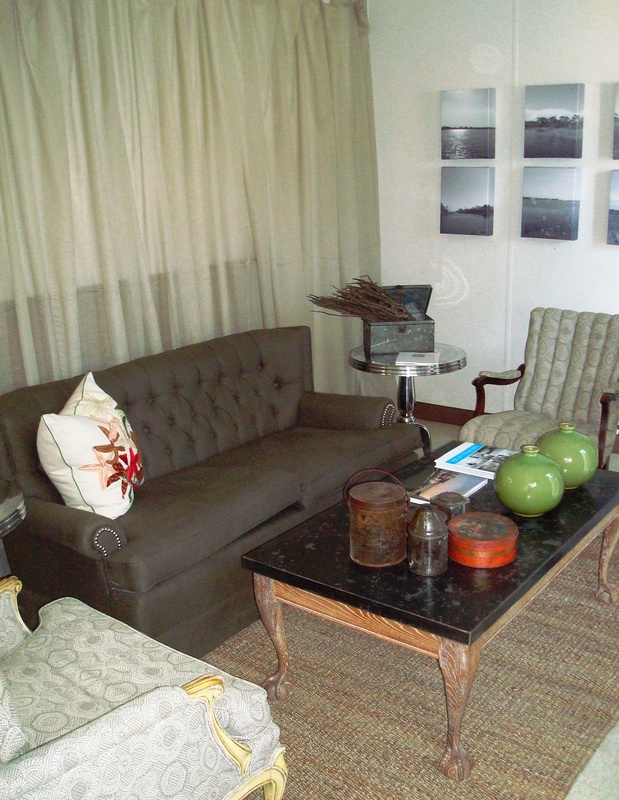 We were careful not to disturb the beautiful historic elements of the space. 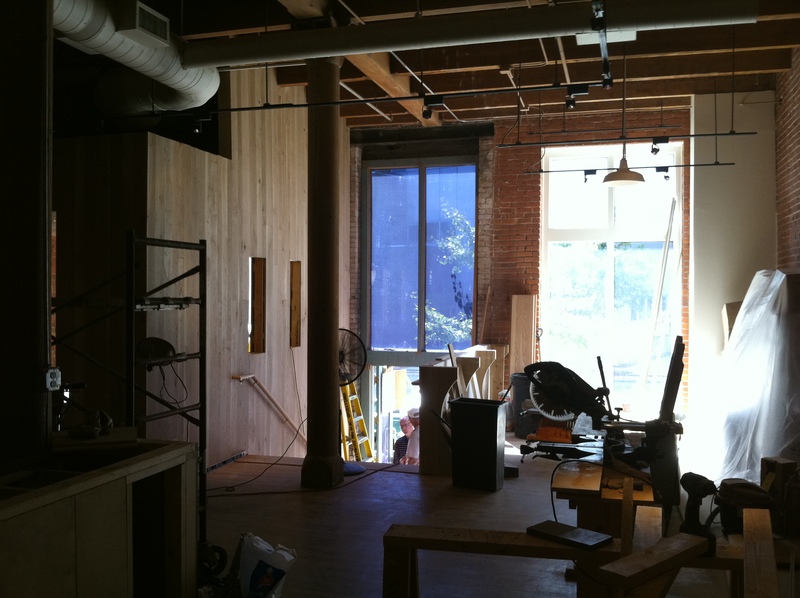 The three sided bar sits just outside of the thick round heart pine columns that march down the center of the room. The entire lower half of the bar will eventually be faced in oak planks stained dark like the panel already installed in the center. 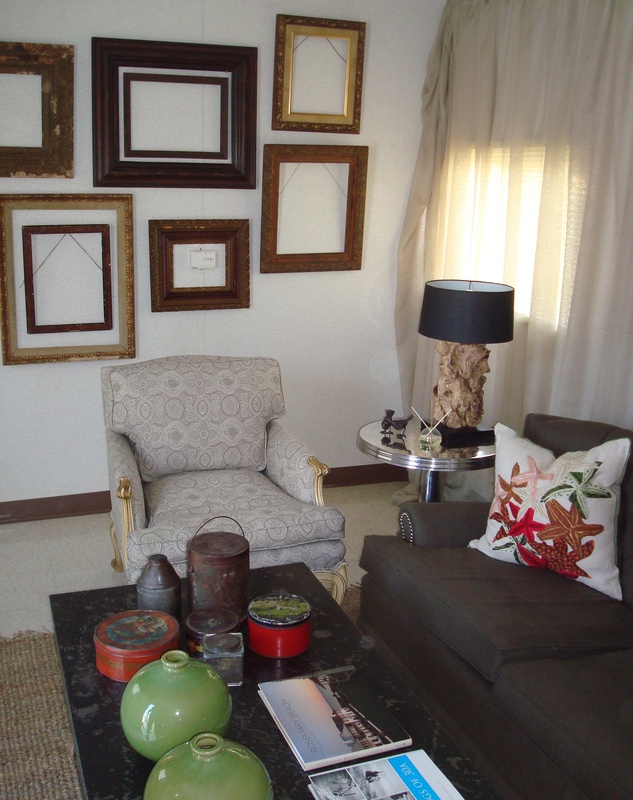 An unlacquered brass bottle rack will line the back wall in front of floor to ceiling panels of antiqued mirror. 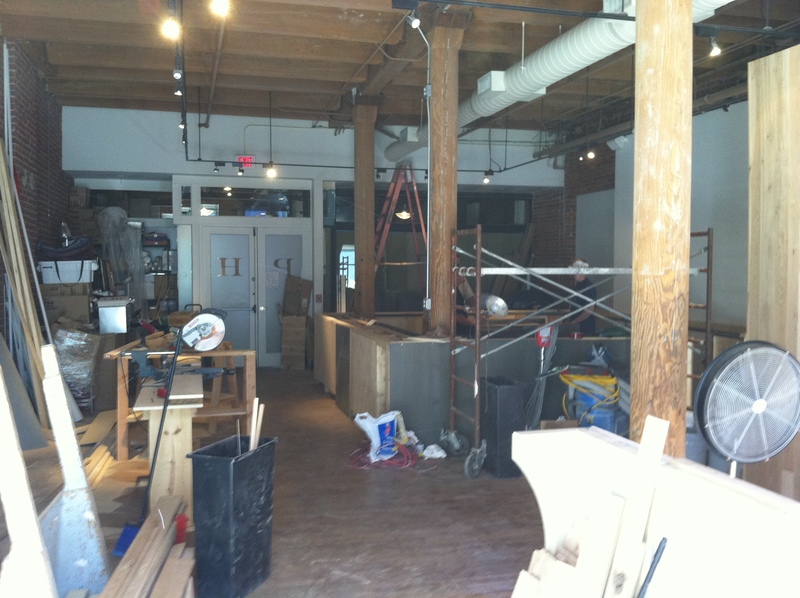 Construction is progressing so quickly…when I visited two weeks ago demolition had not even begun! 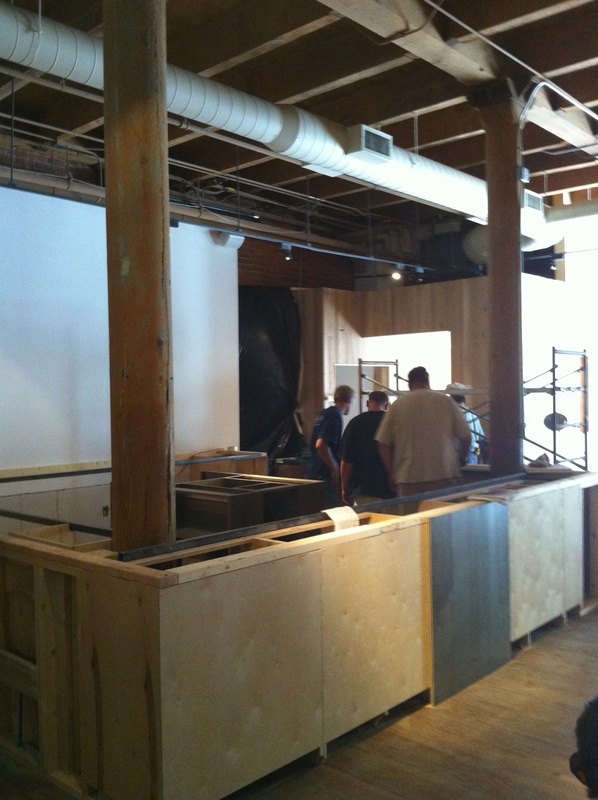 The Social will open soon, and we’ll be sure to share photos of the finished results just as soon as it’s all complete.